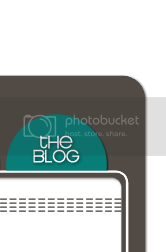 Do you want to protect the images and photos on your blog? You can protect your site with a right click disable code! Using the follow code will cause an alert box to pop up with the message of you choice, letting people know that your information is copyrighted. The code isn't foolproof, but it does allow you to warn people who want to take your graphic and photos. If you'd like a different message to pop up, change the phrase in red, but DO NOT delete the quotation marks around the message. That's it! Now your information is right click disabled! I loved this! Until I get my blog button this will do just fine! Yeah...thank you, DB!